Thank you for taking the time to read carefully through our policies. Please don't hesitate to contact us if you have any questions about your order, product information, or shipping. All orders must be placed through our website. We do not take orders over the telephone. Payment can be made by Paypal or credit/debit card online or you can choose to come and pay in person at our shop. Orders will be dispatched once payment clears. If you choose to pay with PayPal, echeques and some card payments may not clear for up to 2 weeks. Your purchase will not be sent until funds clear. Please note we do not offer credit, and goods must be paid for before they are sent. All purchases must be made through the website. We do not charge VAT on our items. Some items are available in larger quantities directly through the website with discounted prices built in. Where an item is not available in a larger quantity through the website, please get in touch, we may be able to source this as a Special Order. We may offer special offers and other discounts on occasion - please sign up to our website to be informed of all upcoming offers. We ship Tuesday-Friday. We are closed on Mondays and cannot ship orders. Please place your order before 11am and where possible we will try to ship it the same day. Resin orders need to be in by 10am. Orders received after 2pm (11am for resin) will normally be sent the following working day. Our shipping times are not guaranteed as they rely on a number of factors outside our control. For special order items, please contact us as it may take longer to ship your order. If there is any delay because of stock being unavailable from the suppliers or for any other reason, we will let you know as soon as possible after you have placed your order. Your order will be shipped to your shipping address provided. 5.1. UK Shipping: You may choose different shipping methods for your order. For UK orders (excluding orders of resin and related items) we offer Economy Shipping, First Class Shipping and Priority Shipping. Economy Shopping is by 2nd Class post and may take up to a week but can take longer. First Class shipping is via First Class Post and although this is often delivered in one day, it may take up to 5 business days for your order to arrive. Orders of a value of over £30 will be sent by Registered Post. If you need your order urgently, we offer Priority Shipping, which means we would prepare your order as a priority and it would be sent by Royal Mail's next day delivery service or courier at our discretion. Please note Priority Shipping does not guarantee Next Day Delivery or Saturday delivery in all cases. If you would prefer a specific service, please contact us and we will be happy to provide a quote. 5.1.1. Shipping of Resin & Associated Materials within mainland UK: Resin and certain associated materials (e.g. solvents, moulding compounds, certain colourants) are considered hazardous and can only be sent by specialist couriers. We have been able to negotiate rates with a specialist carrier and we can now transport resin securely within mainland UK at a cost of £10 per order. This is significantly higher than our standard flat rate shipping, but we ask for your understanding that there is no viable alternative other than a specialist courier and we have tried very hard to negotiate the best rates possible. We make no profit from shipping and these are the lowest possible rates we can offer. These specialist shipping rates have been built in to our website and you must ensure you select the resin courier rate for any mixed order containing resin as well as other items. Most resin deliveries will take around 2-3 days from date of order. Priority shipping is not available on shipments of resin and associated items. 5.1.2. Shipping of Resin & Associated Materials to Northern Ireland: The same restrictions apply as per mainland UK. The rate for shipping resin items (including resins, solvents, moulding compounds and certain colourants) to NI is £20 per shipment. This is significantly higher than our standard flat rate shipping, but we ask for your understanding that there is no viable alternative other than a specialist courier and we have tried very hard to negotiate the best rates possible. We make no profit from shipping and these are the lowest possible rates we can offer. These specialist shipping rates have been built in to our website and you must ensure you select the resin courier rate for any mixed order containing resin as well as other items. Most resin deliveries will take around 3-4 days from date of order. Priority shipping is not available on shipments of resin and associated items. 5.2. Rest of World Shipping: Due to the large number of losses of parcels sent overseas we no longer offer non-registered Standard Airmail as a shipping option. We now offer only registered postage to all areas outside the UK. Customers are responsible for payment of any import taxes, duties or levies resulting from their order. Please note we are unable to state anything other than the true value of goods on customs declarations. 5.2.1. Shipping of Resin to Rest of World: We regret that due to the difficulties in carriage of hazardous materials overseas, we are unable to ship any resin and associated items outside of the UK. If you are able to organise adequate transport however, please get in touch and we will be happy to package your order and hand it over to your preferred courier at your own risk. 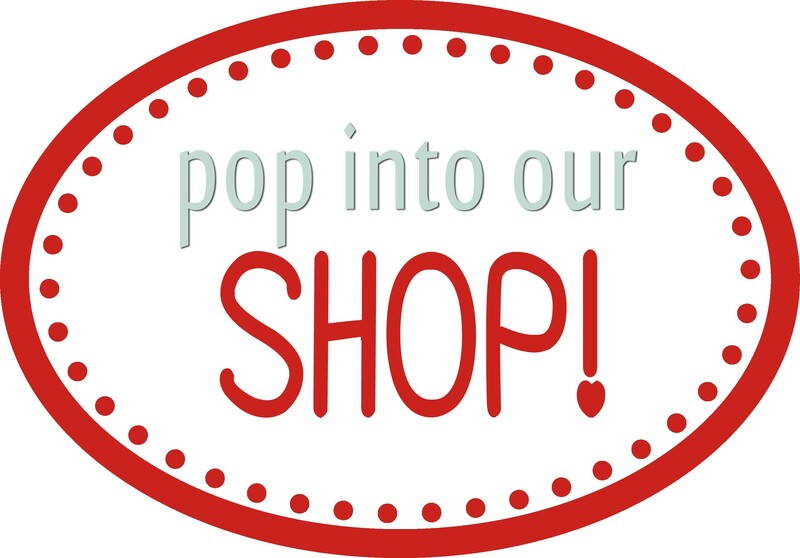 It is very important to us that you are happy with your purchase, therefore we offer a no-quibble return policy on standard items (this does not apply to earrings and any personalised or specially designed items or special orders, all of which are non-returnable). You have 28 days from the time of placing your order to notify us of any items you wish to return to us for a refund. You must then ensure we receive your returns within 14 days of you notifying us of your wish to return the item/s. We are unable to accept returns after six weeks have passed from the date of placing the order. Items must be returned in their original packaging and the buyer is responsible for return postage. Please use the returns section of the "my account" area to request a return. Once we receive your request to return an item, we will respond within 48 hours. Please be aware we cannot be held responsible for any returns that are lost or damaged in transit. Any exchanges will be handled as a new sale and a return. A refund will be offered for the item you are returning as soon as this is received and you can purchase your preferred replacement at any point. Buyer is responsible for postage costs. We will send returns and exchanges by economy mail, and the customer has the option of an upgrade if required which will be at the customer's cost. We will replace free of charge (subject to stock) any faulty items providing this is notified to us within 7 days of purchase and all parts are returned safely packaged, however in certain circumstances we will be able to accept photographic evidence of the damage. You will receive a like-for-like exchange. We will also refund your postage costs where a faulty or substandard item has been sent in error. Postage will only be refunded up to the actual cost of return or up to the amount you paid in your original order, whichever is lower. If your return postage is likely to cost more than the amount you paid for postage in your order please get in touch. We try our best to check all the pieces that we sell but sometimes mistakes happen, especially with the glass pieces, so we are grateful for your understanding. Please note we offer no warranty that different batches of our items will be the same as in previous occasions, or that items will fit correctly together on every occasion. It is the customers' responbility to check their order as soon as it arrives and to notify us of any problems as soon as possible. We cannot compensate for lost sales and we do not operate on a sale or return basis. We cannot offer rush exchanges or postal upgrades where a customer has failed to notify us in good time of any issues. Our address for returns and exchanges is Jasmin Studio Crafts, 4 Greyhound Lane, London SW16 5SD. We follow Royal Mail's procedures for lost mail. For standard UK deliveries, we cannot consider an item to be lost until 15 working days after the item was due to have arrived, and for international deliveries, 25 working days. Please check the delivery address requested for your order in the first instance. You should also contact your local Post Office if an item has not arrived in the expected time, as the majority of our parcels will not fit through a standard letterbox and will be taken back to the postal depot if there is nobody available to receive the package. We have had several instances of parcels being left in sheds or with neighbours, so please ensure you have checked with your local delivery postman. We are currently not offering classes, workshops and parties - please sign up to our mailing list to be informed of any changes. All policies and transactions are governed by English Law. We have obtained confirmation from the manufacturers and suppliers that we deal with that all the metal jewellery that we sell which is designed to be worn next to the skin complies with EU legislation regarding the use of nickel. Additionally, we only stock lead-free items. Material Safety Data Sheets can be obtained from the manufacturers' websites. Our blog contains useful information on our products and how to use them, as well as projects that you can follow. Visit our blog at jasminstudiocrafts.blogspot.co.uk. Whilst the projects themselves are free of copyright and may be reproduced, our images are not. Please be aware that some of the images of collage sheets we use are also not free of copyright. If required, we will be happy to put you in touch with the copyright owner. We welcome comments on our blog, but we do not allow any rude, defamatory or derogatory posts, spam/bot posts and comments that seek to promote unvetted companies or products. We will delete any comments that do not comply with our requirement. If you would like us to promote your project, product or company please speak to us first and we may, at our discretion, include your project, company or product on a separate blog entry. All jewellery should be worn with care. It is advisable to protect all jewellery from contact with water, e.g. while swimming, showering etc. Please take care not to allow your jewellery to come into contact with cleaning materials, perfumes or toiletries. Most metals and metal platings will oxidise and the colour may become dull with time. You can prevent some oxidisation by keeping the item in a sealed bag. Fabric and paper-based jewellery must never be allowed to come into contact with liquids. If you have trouble finding your right size please contact us and we will be happy to help. It is important that your ring size is accurate as it may not be possible to change the size of certain rings after completion. Special orders are very welcome. We enjoy working with our customers to source the right materials to enable them to create something unique. Please contact us to discuss your requirements. A 50% deposit is payable on all custom orders, of which 25% (12.5% of the total) is a non-refundable administration fee chargeable in the event of the customer cancelling or changing the order after the deposit has been paid. Special orders may be subject to a minimum order amount. Special orders fall outside our flat rate postage offer and shipping will be charged at cost. We may be able to accommodate large quantity orders directly through the website, with large quantity discounts built in to the prices shown. However if the quantity you require doesn't appear as available, please get in touch. Wholesale orders fall outside of our flat rate postage offer and shipping will be charged at cost. A wholesale order that falls outside the remit of a website transaction will be classed as a Special Order. You may use our tutorials freely to create your own pieces of jewellery, however please do not copy any designs, images, layouts or descriptions, or reproduce the tutorials themselves without express prior permission. Thank you. Jasmin Studio Limited is a company registered in England and Wales with registration number 8098892. Registered Office: Parker House, 44 Stafford Road, Wallington, Surrey, SM6 9AA.